219 in stock Need More ? 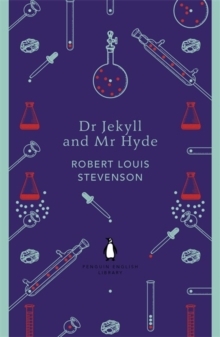 The Penguin English Library Edition of Dr Jekyll and Mr Hyde by Robert Louis Stevenson'All human beings, as we meet them, are commingled out of good and evil: and Edward Hyde, alone in the ranks of mankind, was pure evil'Published as a 'shilling shocker', Robert Louis Stevenson's dark psychological fantasy gave birth to the idea of the split personality. The story of respectable Dr Jekyll's strange association with 'damnable young man' Edward Hyde; the hunt through fog-bound London for a killer; and the final revelation of Hyde's true identity is a chilling exploration of humanity's basest capacity for evil. This edition also includes Stevenson's chilling story 'The Bottle Imp'. The Penguin English Library - 100 editions of the best fiction in English, from the eighteenth century and the very first novels to the beginning of the First World War.